St. Patrick’s day in the city is always a great time. A parade, a green river, masses of happy people decked out in green… what more could you ask for? 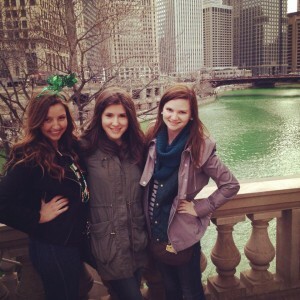 Each year, Chicago has a parade and St. Patrick’s Day celebration on the Saturday before the actual holiday. I’ve had a blast each year, and this year was no exception! My friends and I started out the day with lunch at Wilde, an Irish restaurant across the street from my apartment. (my neighborhood has the coooolest restaurants, but I’m biased) I ordered a reuben sandwich which was delicious, and one of my friends ordered Shepherd’s pie, which looked delicious, but I am no where near as adventurous with food as she is. After we got lunch, we walked around Chicago and eventually made our way to the parade. It was insanely packed, so we didn’t stay for the entire parade. 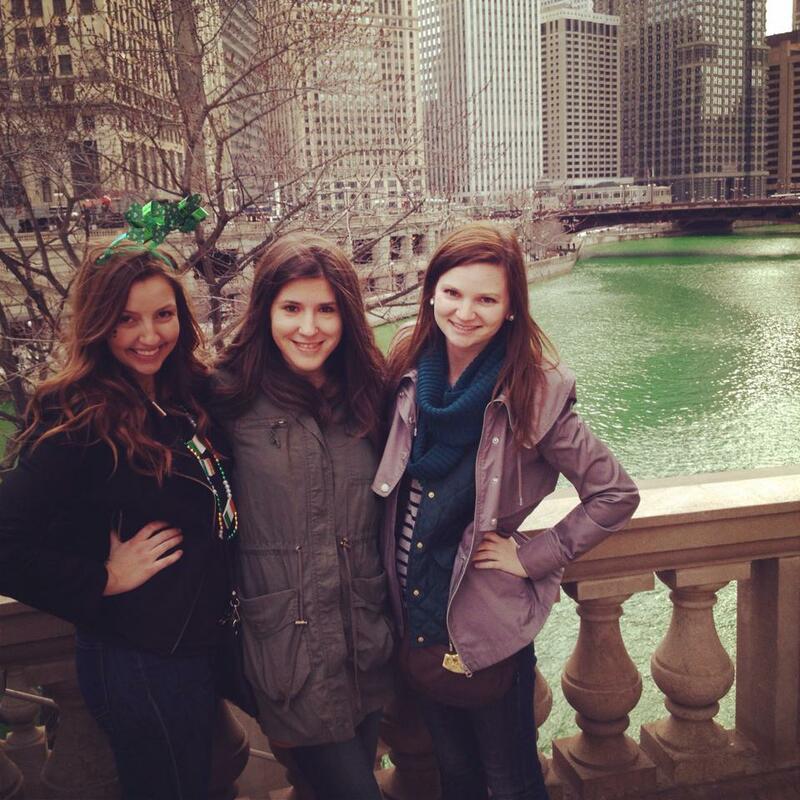 We made our way to the river, which was dyed green, and got a picture. Being the foodies that we are, we later found ourselves at a small Thai restaurant, devouring crab rangoon and pad thai (craving it as I type this…) It was a great St. Patrick’s Day… we made our way to the parade and the river, and the weather cooperated perfectly! In case you haven’t figured it out from the giant wall standing between Damen and Mertz, this week is Palestine Awareness Week at Loyola. Students for Justice in Palestine (SJP) and the Middle Eastern Student Association (MESA) teamed up to spread awareness about the Palestinian resistance and liberation movement. Yesterday, a friend of mine invited me to one of the events for Palestine Awareness Week. We joined with many of our fellow students in Mullady Theater for Poetic Injustice: A Night of Cultural Resistance. Two Arabic artists came to Loyola to perform a sort of hip-hop poetry slam show. In light of the recent divestment legislation in USGA, the energy in the room was palpable. Now wherever you stand on the Israeli-Palestinian conflict, this event was amazing. 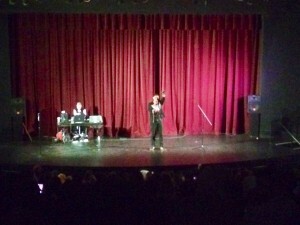 The performers were a cool blend of popular culture and social justice, and the crowd hung off their every word. I can only think to describe Omar Offendum as an Arabic Macklemore, with music that transcends the genre and seeks to spread truth. The event certainly drew me, even though I don’t have the first-hand experience with the conflict that most of the people in the theater shared. And even more, it made me want to find out more about Palestine Awareness Week. Kudos to all those who made the event so amazing!